What follows is the whole of chapter 5 of Jews and the Poles in World War II by Stefan Korboński, a Polish national hero who, far from being an antisemite is recognised by Yad Vashem as one of the Righteous Among Nations for his work to help Jews during the war. Korboński describes how the Communist regime in Poland for 10 years after the war was run by Jews. It was the darkest period of the communist era, the period of “the midnight knock at the door, arbitrary arrests, torture, and sometimes secret execution”. A similar situation obtained in Hungary, Czechoslovakia and Romania. After the unexpected attack of June 22, 1941, the German armies reached within a few months the suburbs of Leningrad in the north, those of Moscow in the center, and the banks of the Volga at Stalingrad. The Germans failed, however, to cross the Volga and cut off the main line of communication between the north and the south of Russia. Several months of heavy fighting culminated in the battle of Stalingrad and the surrender of a 300,000-strong German army on January 31, 1943. it was the turning point of the war and the beginning of the German retreat. The Soviet army reached the Polish border on January 3, 1944, near the town of Sarny. Stalin remembered well the goals of the October Revolution of 1917, which included entering Poland as the gateway to the defeated and rebellious Germany and the utterly exhausted France, with a view to spreading the Communist revolution over all of Europe. The first step was the establishment of a Communist government in Poland. and for that purpose a Provisional Polish Revolutionary Committee was formed in Bialystok. already seized by the Red Army. The committee, intended as the first Bolshevik government of Poland, included J. Marchlewski, E. Prochnjak, E. Con, and J. Unszlicht. The Communists under-rated the strength of the very recently restored independent Poland, a sovereign state since November II, 1918. In August 1920 the Soviet army under Marshal Tukhachevski was defeated in the battle of Warsaw by the improvised Polish army commanded by Joseph Pilsudski. The first cavalry army of Semyon Budienny was smashed and fled in disarray. There was on Budienny’s staff a young political commissar by the name of Stalin, who was charged with guarding the Communist orthodoxy of the troops. The memory of his desperate flight, chased by Polish lancers, left a deep scar in Stalin’s mind. The defeat near Warsaw put an end to the Soviet plan for a Communist Europe, and a peace treaty between the Soviet Union and the independent Polish government was signed on March 18, 1921, in Riga. It remained in force until the day of September 17, 1939, when the Red Army broke the treaty of Riga by invading Poland. They repeated the invasion on January 4, 1944, when they entered Poland again in pursuit of the German army in retreat. As soon as Stalin saw that victory over the Germans was within his reach, he revived the master plan which had failed in 1920. He knew that the Germans would leave Poland and be replaced by Soviet soldiers under his command, ready to establish a government of his choice. They would not encounter armed resistance as in 1920, and Poland would be taken over. Yet appearances had to be observed for the benefit of the Western Allies, and that’s why Stalin formed on June 10, 1943 in Moscow a “Union of Polish Patriots” whose members were handpicked by Stalin and were under his orders. Ever since the Soviet defeat of 1920 Stalin hated the Poles. He proved it by ordering the execution of four thousand Polish officers, mostly reservists, who had been taken prisoner in 1939 and whose graves were discovered at Katyn in 1943. Ten thousand other Polish officers were sent to the arctic north of Russia, by the White Sea, never to be heard of again. Most of them were educated men, civil servants or professionals in civilian life. Stalin’s aim was to decapitate the Polish nation by exterminating its leadership. To realize his plan of seizing total control of Poland, Stalin formed two teams: one to satisfy appearances and the Western Allies, the other to actually rule Poland. The first was headed by the Polish Communist Wanda Wasilewska and the other by Jacob Berman, whom Stalin knew well. The choice of Berman was connected with his Jewish origin, which exonerated him from suspicions of Polish patriotism and advocacy of Poland’s independence. Stalin regarded the Jews as cosmopolitans whose loyalties would be to Zionism rather than the country of their residence. As the situation developed, the Polish Patriots’ Union was converted on July 21, 1944, to the “Polish Committee for National Liberation,” which formed in Moscow on June 21, 1945, the Provisional Government of National Unity. Out of the twenty-one members of the cabinet, seventeen were Communists or their supporters. Among the four Democrats was Stanisiaw Mikolajczyk, a Polish peasant leader and former prime minister of the Polish government in exile in London, who had returned to Poland. 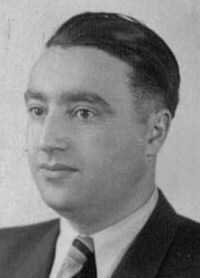 The head of the second team, Jacob Berman, who was a Soviet citizen, was camouflaged in the secondary position of undersecretary of state at the Foreign Office and later at the Office of the Cabinet, from which he exerted control over all branches of the government. He had a direct telephone line to the Kremlin and to Stalin himself. That telephone was used on one occasion, after office hours, by William Tonesk, a Polish American who described the event in his interview published in the New York Polish Daily of June 9, 1987. The principal instrument of Berman’s power was his total control of the Ministry of State Security, which began under Stalin’s instructions-to liquidate all centers of possible opposition, often by simply murdering persons suspected of advocating Poland’s independence, especially former members of the Home Army, which fought the Germans during the occupation. During the electoral campaign preceding the election of January 19, 1947, the agents of the political police, known as “Bezpieka” (an abbreviation of the “Security”) murdered 118 activists of the only independent parties, the Polish Socialist Party and the Peasant Party. The list of their names was published in Stefan Korbonski’s book In the Name of the Kremlin. The names of ten additional members of the Peasant Party and four of the Polish Socialist Party killed by the Communist political police were published in the periodical Zeszyty of the Paris Kultura. The relations between Berman and Stalin are described in the interview he granted to Teresa Toranska, which is published in her important work Them. It describes the intimate, sumptuous parties in Stalin’s dacha which lasted from 10pm until dawn. On one occasion, when no women were present, Berman waltzed with Molotov, while Stalin turned the gramophone and changed the records. Berman’s career ended in 1957, when he was expelled from the “Polish United Workers Party” (the Communist Party) by the Bezpieka secret police on charges of “serious infractions of legality”. The infractions consisted of the false imprisonment, torture, and murder of thousands of people. 1. General Roman Romkowski (Natan Grünspau-Kikiel), was vice-minister of State Security, He was a member of the then-illegal Communist Youth Organization and was trained in the Komintern “Lenin School.” As vice-minister of State Security, Berman’s confidant supervised the departments of investigation, training, and invigilation. He also managed the secret treasury of the Politbureau, controlled by Jacob Berman, Hilary Mine, and Boleslaw Bierut, a Russified Pole promoted by Stalin. Bierut had served many years as an international agent of the Komintern. Romkowski alone had access to the three huge built-in safes which contained millions of dollars in cash, gold bars, and diamonds. Romkowski often interrogated prisoners personally, among them Stefan Korbonski. He was active in the faking of the election of January 19, 1947, and conducted the investigation of Wiadyslaw Gomulka, of which more will be said later. He was delegated to Budapest in connection with the case of Laszlo Rayk and to Prague in connection with that of Slansky; both Communist leaders were executed for allegedly departing from the party line. 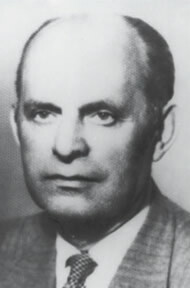 After the accession of Gomulka to power, Romkowski was expelled from the Communist Party in April 1955, arrested, and sentenced to fifteen years imprisonment for the “infractions” at the Ministry of State Security. 2. General Julius Hibner, born David Schwartz, was a Communist who had served in the civil war in Spain in the years 1936-1938. I-fe was aide to the minister of State Security, charged with the Border Defense Corps and the Internal Security Corps. In 1951-1956 he was commander of the internal military forces and in 1956-1960 vice-minister of the interior. The official duties of her department include the prosecution of foreign and non-Soviet influences in the Polish political parties other than the communist one, in trade and youth associations. Luna Brystygier is a chapter unto herself. She is now over fifty, rather the worse for wear, as she had a full and eventful life. She started her career in Lwow, at the time of the entry of the Soviet army in 1939. As the former wife of Dr. Nathan Brystygier, a Zionist activist in the pre-war period, Luna had all the required contacts and connections. Immediately after the arrival of the Red Army in Lwow in 1939 Brystygier started denouncing people on such a scale that she antagonized even some communist party members. That was the beginning of her feud with colonel Rozanski, now the director of the investigation department of the “Bezpieka” political police. At that time she, Rozanski and Borejsza (Rozanski’s brother) competed in denouncing people to the NKVD (now known as the KGB). There was sharp rivalry between them in that area. Eager to win, Brystygier wrote to the NKVD. a report accusing Rozanski of being a member of a Zionist family. It was true that his father Dr Goldberg was, before the war, editor of the Zionist newspaper “Haynt.” Rozanski knew about that report and I recall him complaining: “just think, comrade, that ... squealed on us. But comrade Luna forgets that I have had a longer career in the NKVD than she.” Rozanski did have a long record of work for the NKVD and that is why he still holds his job. After the entry of the Red Army in Lwow Brystygier conducted her activity as an informer by organizing the so-called Committee for Political Prisoners. That committee was instrumental in helping the NKVD to capture party deviants and that was how Brystygier finished off some of the comrades. She has now a very strong position at the “Bezpieka” headquarters. They call her the vice-minister of State Security. The reason is quite simple: during her stay in Russia Brystygier was, for a long time, simultaneously the mistress of Berman, Minc and Szyr. The first two have especially strong commitments to her. That is why whenever Brystygier wants to carry through anything in the Ministry of State Security, even in opposition to her ostensible bosses Radkiewicz and Romkowski, she always has her way. Many times Radkiewicz did not even have the time to submit a proposal to Bierut when Bierut himself or Berman called him and said: “listen, you have on your desk such and such. Why didn’t you tell us about it?” They knew everything before it was referred by Radkiewicz, because Brystygier tells them these things at night. Beautiful, eh comrade Thomas? But it is through you and your closest collaborators, Berman and Minc, that she wields such power. 4. Colonel Anatol Fejgin was director of the tenth department of the Ministry of State Security, his job was the tracing and liquidation of all Western influences and the collection of damaging material about Party members, with the exception of Bierut. After the arrest of Wladyslaw Gomulka in July 1951 (he was released in December 1954) and the defection to the West on December 5, 1953, of his deputy, the colonel of security police Joseph Swiatlo (Licht), Fejgin was arrested in April 1955 and sentenced to fifteen years in prison. 5. The security police colonel was in his youth a member of the Union of Young Communists He joined in 1942 the army formed in Russia by Berling and was assigned to security work, where he met his old friend from the Communist organization, Romkowski. He was transferred to the Ministry of State Security (the equivalent in Poland of the KGB) and appointed deputy director of the tenth department headed by Colonel Anatol Fejgin. Because of his connection with Romkowski, Swiatlo had actually a stronger position than Fejgin, with a direct line to Moscow and the right of access to Stalin’s right hand, Rena himself. Two massive steel closets in his office contained material which incriminated every important personality from Berman down and was kept for purposes of blackmail. in 1953 Swiatlo realized that he knew too much to get out alive from his position, and during a visit in West Berlin he defected to the United States on December 5, 1953, and was in Washington D.C. on December 23, 1953. 6. Colonel Joseph Rozanski (Goldberg), a former clerk in a Warsaw law office and a veteran Communist, was the director of the investigation department of the Ministry of State Security. He handled in 1945 the case of Stefan Korbonski, the former Delegate of the Polish government in exile in London, recognized by the Allied governments. The Delegate - a post held at the time of the Warsaw Rising by Jan Stanislaw Jankowski - was the head of the Polish Underground State, controlling the entire resistance movement and the Home Arms’. Korbonski and his wife Sophia were arrested in Krakow at night on June 28, 1945. Rozanski kept them in the building of the Ministry of State Security and did not use torture, which was his favorite method of extorting confessions. He used instead exhausting all night interrogations and threats of summary execution. This relative leniency was no doubt because of the Opinion of the supreme authority, Jacob Berman, who said: “Korbonski was the only one in that reactionary gang who tried to save Jews.” Charged with abuse of power and extensive use of torture, Rozanski was first sentenced in December 1955 to five years of imprisonment and then to fifteen. He was held in luxuriously appointed quarters and released ten years ahead of time. It was rumored that he settled in Israel. 7. 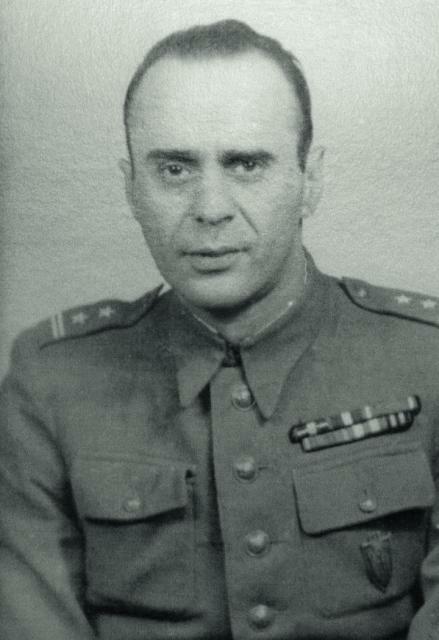 Colonel Czaplich (fictitious name) who headed the third department of the Ministry of State Security, was charged with the prosecution of the Home Army, the organization of resistance against the Nazis during the war. He was nicknamed “Akower"__a Jewish version of the initials “A.Ic” of the Home Army. He displayed somewhat less cruelty than the other Bezpieka bosses. 8. Zygmunt Okret was the director of the archives department of the Ministry, in charge of records and personal files. The above dignitaries were far from being the only Jewish officials of the Ministry Victor Klosiewicz, a Communist and member of the Council of State, stated in his interview conducted by Teresa Toranska: `Accounts had to be settled in 1955 and it was unfortunate that all the department directors in the Ministry of State Security were Jews. The archetype of the Jew during the first ten years of the Polish People’s Republic was generally perceived as an agent of the secret political police. It is true that under Bierut and Gomulka (prior to 1948) the key positions in the Ministry of State Security were held by Jews or persons of Jewish background. 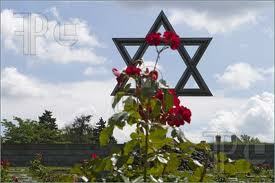 It is a fact which cannot be overlooked, little known in the west and seldom mentioned by the Jews in Poland. Both prefer to talk about Stalin's anti-Semitism (the “doctors” plot, etc.). The machine of communist terror functioned in Poland in a matter similar to that used in other communist ruled countries in Europe and elsewhere. What requires explanation is why it is operated by Jews. The reason was that the political police, the base of communist rule, required personnel of unquestionable loyalty to communism. These were people who had joined the Party before the war and in Poland they were predominantly Jewish. Hence the hierarchy: Stalin in Moscow at the pinnacle, issuing orders to Berman orally during his visits and all-night feasts or by direct telephone line; Berman assigning duties to the directors of the various departments of the Ministry, every one of them Jewish. Since the Ministry of State Security exerted at the time the power of life or death, it held Poland under a reign of terror in the years 1945-1955, at the cost of many lives. Accurate statistics are lacking, but it is well known that thousands perished in prison under torture and maltreatment, for example, the chairman of the Council of National Unity, Kazimierz Puzak. Some were simply executed, such as Wladyslaw Kojder and Narcyz Wiatr, who were commanders of the Peasant Battalions resistance against the Germans. The victims of the reign of terror imposed by Stalin and carried out by his Jewish subordinates during the first ten years after the war numbered tens of thousands. Most of them were Poles who had fought against the Germans in the resistance movement. The Communists judged, quite correctly, that such Poles were the people most likely to oppose the Soviet rule and were therefore to be exterminated. 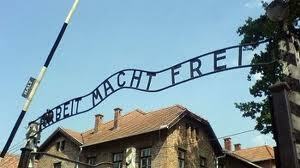 That task was assigned to the Jews because they were thought to be free of Polish patriotism, which was the real enemy. Aside from leadership in the Ministry of State Security, which played a role analogous to the Gestapo in Hitler's Germany, the Jews also held leading positions in other government departments of the Communist regime. The third of the group ruling Poland was Roman Zambrowski, born Rubin Nussbaum, who held in turn several dominant political positions. In 1947 he was deputy speaker of the Seym (parliament) and its actual master over the ineffectual speaker Wiadyslaw Kowalski. 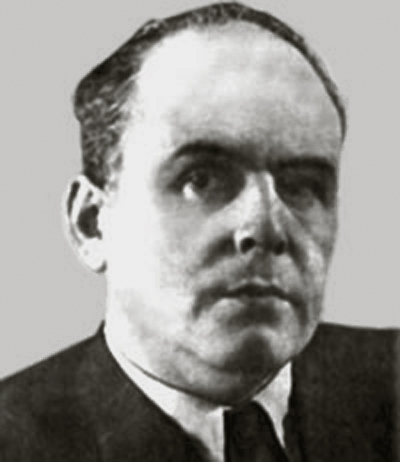 When Stefan Korbonski spoke in the Seym on February 21, 1947, on the subject of a proposed amnesty bill, criticizing sharply the persecution of former members of the resistance against the Germans and demanding a full amnesty for all resistance fighters, the deputy speaker Zambrowski responded with a speech in which he caricatured Korbonski's appeal as "an incredible provocation." Another senior dignitary was Tadeusz Zabludowski, the ruthless director of the Office of the Press, Publications and Entertainments, which was in fact the office of censorship. He banned the publication of parliamentary speeches, such as that of Korbonski regarding the amnesty, and exerted total control over every publication, including books and theater performances as well as films and radio programs. He was assisted by Julia Minc, the wife of Hilary Minc, who headed the Polish News Agency, which was awarded the monopoly in the distribution of news and the management of the press. 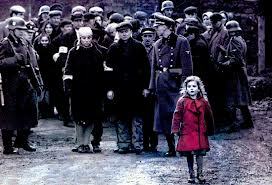 She was later succeeded by Stanislaw Staszewski, whose family was exterminated in the Holocaust. He was a Communist of long standing. An important role was also played by Roman Werfl, a Communist since his youth and a talented journalist, who was successively the editor of such periodicals as Nowe Widnokregi, Glos Ludu, and Nowe Drogi. He was the director of the “ICsiazka I Wiedza” publishing house, which enjoyed a monopoly of book publishing. 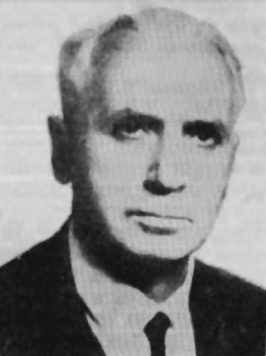 Leon Kasman was the editor of the official Party organ; he had been a Communist already before the war. One of the dominant figures in the field of publishing and propaganda was Jerzy Borejsza, brother of the secret police colonel Joseph Rozanski, who set the policy of the press and its goals. He was assisted by “general” Victor Grosz and was promoted during the war in the Soviet Union from enlisted man to general for political services. He was the head of the political education department of the Polish army and was charged with the Communist indoctrination of the troops. An important role was also played by Eugeniusz Szyr, a veteran of the Spanish civil war and a member of the “Union of Polish Patriots” formed in Moscow. He held the office of vice- premier. A different role was assigned to Adam Schaff, a prewar Communist and a scholar and professor. 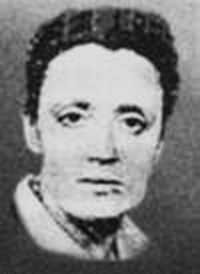 He dedicated himself to the spreading of Marxist philosophy and published numerous works on the subject. The key positions in the Ministry of Foreign Affairs were held by Jews, often with assumed Polish names. Wincenty Rzymowski, a Pole, served as front man, with the title of minister, but the actual control was in the hands of vice-minister Zygmunt Modzelewski. The office of the ostensible minister of foreign affairs was later held by such insignificant figures as Stanislaw Skrzeszewski, who was a school teacher in Krakow before the war, as well as others, including Stefan Werblowski, greeted at the airport on his return from abroad by a delegation of Jewish officials, Marian Naszkowski and others. The control of the ministry was in the hands of Mieczyslaw Ogrodzinslcj, who adopted a Polish name as did his colleagues. Henryk Swiatkowslcj, a Christian Pole, served as the figurehead with the title of minister. The Ministry of Justice was actually under the control of Leon Szajn, the vice-minister pre-war president of the leftist Association of Legal Aides and war-time member of the Union of Polish Patriots sponsored by Stalin in Moscow. After the war he was assigned to the Democratic Party, kept by the Communists to ensure appearances of pluralism for the benefit of the West. He soon became the secretary general of that party, as well as vice-minister of justice. His principal assistants were Stefan Rozmaryn and the prosecutor Jacob Sawickj, together with Colonel Stefan Kurowski, who represented Poland at the Nuremberg trials of the Nazi leaders. All of the above were Jewish. When Savicki wanted to send to Nuremberg Stefan Korbonski as witness, Kurowski refused to allow him to testify personally. Korbonski’s testimony, concerning mainly the mass street executions, was presented by the Soviet prosecutor Smirnov and figures in volume 7 of the “Trial of the major war criminals before the International Military Tribunal.” The German governor Frank was sentenced to death and hanged. Stefan Kurowski ended his career as the chief justice of the Supreme Court, which counted several Jewish judges, among them Mieczyslaw Szerer. The Jewish contingent in the Seym was headed by the vice- speaker Zambrowski, mentioned earlier. He was assisted by Boleslaw Drobner, a pre-war member of the Polish Socialist Party, which was not pro-Communist. Asked in the parliamentary lobby by his old friend Milcolajczyk how he managed to get on the Communist bench, Drobner replied: “1 did time in a Soviet jail and I don’t want to do so again.” Other Jewish members of the prewar Socialist Party who joined the Communists were Dorota Kluszynska, Alfred Krygier, and Julian Hochfeld, an eager convert. Among other members of the ruling Jewish-Communist elite were: Stefan Zolkiewski, minister of education in the years 1956-1959, who made Communist indoctrination the first priority; Ludwik Grosfeld, former minister of finance of the government in exile, who after his return to Poland joined the Communist National Council; Emil Sommerstein, a prewar member of parliament, appointed minister for war reparations; the eminent poet Julian Tuwim, who returned to Poland from the West in 1946 to become an enthusiastic champion of Communist rule; Wladvslaw Matwin, one of the founding members of the Moscow Union of Polish Patriots, who held several important positions, among them that of editor of the chief Communist press organ, the Trybuna Ludua (Tribune of the People); Anthony Aister, vice-minister of the Interior; Stefan Arski, well-known journalist and senior official of the Communist Party; Isaac Kleinerman, head of the office of the presidium of the National Council; Jacob Prawin, Party activist; and Ozias Szechter, a veteran Communist. The major part of that leadership group of Jewish prominence came to Poland from Russia, where it had fled during the war. It exerted totalitarian rule over Poland from 1945 to about 1955 and the “Polish October” of 1956. To ensure its control of the country, it jailed the leading non-Jewish Polish Communists, such as Wladyslaw Gomulka, Zenon Kliszka, Marian Spychalski, General Gregory Korczvnski, General Waclaw Komar, and Marshal Michal Zvmirski, and many others. The October events of 1956 resulted in a change of guard, when the non-Jewish Communists such as Gomulka seized power and sent to jail Roman Romkowski, Anatol Fejgin, and Joseph Rozanski, as well as many of their associates. The Jewish elite which played a dominant role in the Communist rule of postwar Poland found its epilogue in the exodus of 1967-1968. The Kracow Tygodnik Powszechnw published in its issue of March 20, 1988, excerpts from an article in the Communist periodical Nou’e Divgi that describe the events of March 1968. Between the second half of 1967 and that of 1968, 341 officers of Jewish origin were dismissed from the army. They were also ousted from the communist party … In Warsaw, 483 persons were removed from senior official positions. 365 of them from the ministries and central agencies. 49 from academic posts and 24 from the press and cultural institutions. ... Six ministers and vice-ministers were removed from office, 35 directors and department heads ... about 70 professors and lecturers ... by mid 1969 over 20,000 Jews emigrated from Poland. The well justified protest of 1,000 professors against the present anti-Semitic purge in Poland (advertisement July 2) does not pay sufficient attention to the fact that the Polish people are not taking any part in this purge which is occurring inside the Communist Party, since the prevailing majority of the purged people are its prominent members. The Polish people, who do not have any say in this matter or others, consider it purely a family affair of the present “owners of Poland.” And, if nobody sheds tears at the dismissal of such dominant figures of the Stalinist period as Roman Zambrowski, Stefan Zolkiewski, Juliusz Katz-Suchy. Stefan Staszewski and Prof Mam Schaff, it is not because they are Jews, but because they are Communists rejected by the Polish people in the same way as Gomulka and his clique, or General Moczar and his secret police. The writer was a member of the Polish Parliament in 1947, representing the anti-Communist Polish Peasant Party. The ten years of Jewish rule in Poland could not be easily forgotten. It was an era of the midnight knock at the door, arbitrary arrests, torture, and sometimes secret execution. Most of those responsible for that reign of terror left Poland and upon arrival in the West represented themselves as victims of Communism and anti-Semitism - a claim which was readily believed in the West and earned them the full support of their hosts.